Frederick Gowland Hopkins. Nobel Prize in 1929 for the discovery of vitamins. June 20 is Frederick Gowland Hopkins’ birthday. Hopkins was an English biochemist most noted for his work with vitamins and the discovery of the amino acid tryptophan. The Adamkiewicz color test is a chemical test performed on egg whites to show the presence of proteins. Occasionally this test would ‘fail’ when acetic acid was added and produce a purple color change. This failure was often explained away as a reaction of the acetic acid highlighting a color change that had already taken place. Hopkins isolated the reason for this failure and discovered the amino acid tryptophan. This color test reaction is still used to actually detect the presence of tryptophan in samples. Hopkins is best known for what he did after discovering tryptophan. He found that mice fed diets with tryptophan would have significantly longer lifetimes than those fed a diet without tryptophan. It has long been suspected there were other chemicals that were essential for the body to produce proteins but cannot make these chemicals on its own. He performed an experiment feeding mice a diet of synthetic milk. This synthetic milk consisted of purified proteins, fats, salts and carbohydrates, all known components of milk. These mice became sickly and failed to grow. This suggested there was some unidentified chemical substance in milk essential for health and growth. It was this work would earn him half the 1929 Nobel Prize in Medicine for the discovery of vitamins. His discovery of the amino acid tryptophan in proteins would lead others to isolating the various vitamins we know today. Hopkins was not the first to perform this experiment. A Russian surgeon, Nikolai Lunin performed a similar experiment but no one verified his conclusions. During his Nobel acceptance lecture, Hopkins acknowledged Lunin’s and others works that may be considered forerunners to his work and admits it would be difficult to claim he ‘discovered vitamins’. Hopkins was the first to recognize there was something more than nutrition involved and biochemical processes were the important factor. How these vitamins and amino acids work to form proteins and produce energy for cells was more important than the chemicals themselves. This would form the outline the work for the rest of his life. Biochemistry was a new field in the early 20th century and barely recognized as its own field of chemistry. Nearly all biochemists were German and England had next to none. 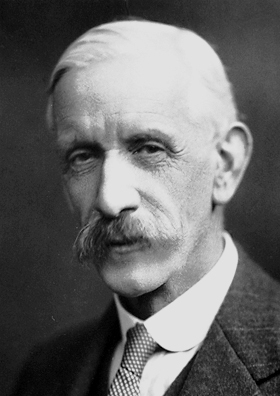 In 1910, Hopkins became Cambridge University’s first Professor of Biochemistry. By the time he retired, Hopkins had inspired a new generation of English biochemists who would become a major part of the forefront of biochemistry.